Home Smart City Technologies Is Tile A Vanguard Tech For Truly MESHed Cities? Is Tile A Vanguard Tech For Truly MESHed Cities? In a consumer-driven society ideas—no matter how good—won’t get traction unless at least one million people can experience them. That’s why all the media talk about smart or MESH cities being the next big thing has had a relatively small audience. Until now. Welcome the Kickstarter driven technological phenomenon, Tile. If you’ve been watching the location device marketplace for as long as MESH Cities has you’ll know that it has a chimeric past. Remember when technology innovator and lesser known founder of Apple Computers Steve Wozniak was pushing the idea about ten years ago? Nothing happened because few believed it was viable. The underlying technology was too bulky. 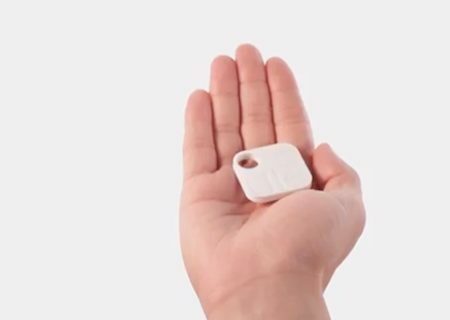 Sure you could find those lost keys, but who wanted to carry around a dedicated device just to find misplaced household items? Then came smart phones that we carry around with us always, followed by crowd-funding company Kickstarter. Finally all those bleeding-edge consumers were able to tell the marketplace what they wanted by voting with their wallets (kickstarter is another MESH concept that will have a big influence on cities in the future). Why wait for some big company to roll out the stuff you want when, collectively, you can make it happen now? Millions of crowd-sourced funding dollars flooded Tile’s youngish inventors. What was once wishful thinking on the part of a few dreamers suddenly became a reality. If a combination of smart phones, Internet crowd sourcing, and capital can create what will probably be a huge new market, imagine what similar hybrids will do for cities. Maybe a kickstarter campaign is in our future.